15 killed in Nigeria bank robbery, attack on police station - SABC News - Breaking news, special reports, world, business, sport coverage of all South African current events. Africa's news leader. 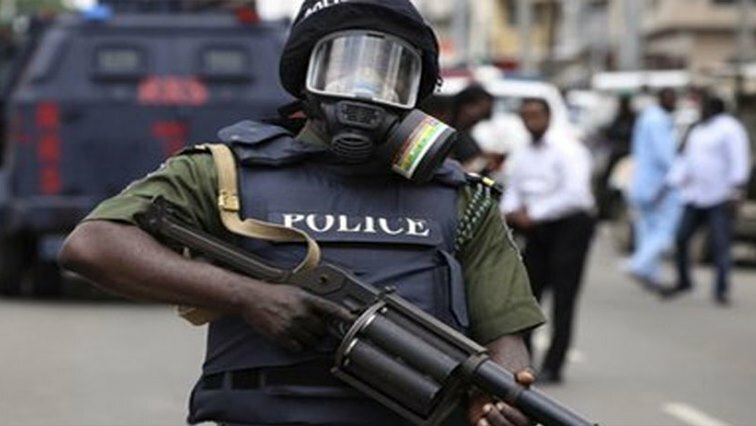 Fifteen people were killed on Thursday when a gang of armed men attacked two banks and a police station in the Nigerian town of Offa, police told AFP Friday. The brazen assault happened in part of Nigeria’s volatile central region, where criminal gangs and cattle rustlers regularly attack security forces. The gang invaded a busy commercial area where several banks and the police station are located in broad daylight around 4:50 pm (1550 GMT), said Okasanmi. “We are going all-out to ensure we arrest them,” he said, adding that the haul from the robbery was not immediately known. “They split into two groups. One group attacked the divisional police station where they opened indiscriminate fire,” said a resident who witnessed the attack, speaking on condition of anonymity. “The other group attacked the two banks, shooting people they met inside, many of them in the head,” he said. Senate President Bukola Saraki, one of Nigeria’s highest-ranking politicians, commiserated with the victims of the “savage attack” in Offa. Gang attacks are a persistent problem for Nigeria, adding to security woes in a country already grappling with the Boko Haram Islamist insurgency. Nigerian President Muhammadu Buhari has had to deploy military throughout Nigeria, West Africa’s largest economy, to quell violence in the absence of a strong police force and rigorous legal system. Police and military in the country were subject to intense scrutiny in February after it emerged that they were unable to repel Boko Haram fighters who stormed the town of Dapchi and abducted 111 schoolgirls. Since then, 105 of the schoolgirls have been returned following negotiations with the Nigerian government, though six others — including one Christian who refused to denounce her faith — are still unaccounted for. The five others are believed to have died in the initial stages of the kidnapping. Fighting fires on so many fronts takes an economic toll. This week Nigeria’s central bank governor Godwin Emefiele said the “herdsmen-related violence” poses a key risk to the country’s economic growth. This entry was posted on 06 Apr 2018,07:43PM at 7:43 PM and is filed under Africa, News. You can follow any responses to this entry through the RSS 2.0 feed. Both comments and pings are currently closed.